the top five violations remained the same as last year. This month, the Occupational Safety and Health Administration (OSHA) released preliminary data for its annual list of most cited violations. Among the violations, Fall Protection - General Requirements is still the most frequently cited standard for the eighth consecutive year. The top five violations remained unchanged for the fourth consecutive year. OSHA publishes this list in order to alert employers on potential workplace hazards so that they may identify and fix them before injuries and accidents occur. "The top ten [list] represents the most frequently cited standards, and they are a good place to start for the employer in identifying hazards in their own workplace," Patrick Kapust, deputy director of OSHA's Directorate of Enforcement Programs, said in a recent press release. OSHA violations are serious. Almost all of the violations on this list have resulted in a workplace fatality this year. Moreover, penalties and fines for these violations can easily run thousands of dollars- and not just for big businesses. 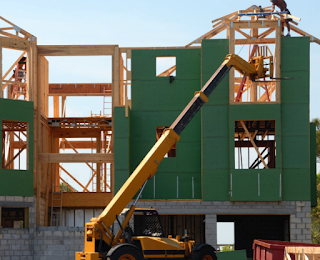 According to OSHA, falls are the leading cause of U.S. construction site deaths. Violations of this standard apply to both general and construction industries; employers are required to provide fall protection systems for employees working near surfaces where they can fall six feet or more. This standard also requires protection from falling objects. Recently, a Florida roofing contractor was fined $134,510 after an employee fell to his death. OSHA stated that the employee was not adequately trained on fall protection and that the company did not perform regular inspections for fall hazards on their jobsites. This standard has to do with accurately identifying and labeling toxic chemicals, while also training employees on the potential hazards of these substances. Failure to train employees on how to handle hazardous chemicals can lead to fatalities. Earlier this month, a construction company was fined $28,445 after a worker died when a container of liquefied petroleum exploded. The chemical was stored in an unventilated container, which OSHA investigators determined was from workers not being properly trained on working with this hazardous chemical. Although scaffolding is one of the most commonly used tools on a construction jobsite, there is an inherent risk when it comes to their design, installation and use. This standard includes fall protection regulations for those working on scaffolding 10 feet above a lower level. A New Jersey contractor was fined $191,215 for multiple scaffolding safety violations, including failure to properly secure scaffolding, failure to provide enough planks for walking, and building some scaffolding too close to power lines. The dusts, fumes, and mists from work areas can lead to serious respiratory disease. Silica dust, asbestos, coal, and cement dust are some of the most widely known toxic particles that can cause emphysema, fibrosis, and other chronic conditions; however, even "safe" particles can cause obstruction or irritation in large enough quantities. As a result, respiratory protection is incredibly important to the overall health of workers. Violations of this standard comes from failure to provide good ventilation and adequate respiratory protection. Additionally, failure to implement a written respiratory protection program and failure to train employees on procedures and equipment are another source of citations against this standard. In Virginia, a contractor was fined $304,130 for respiratory protection violations involving crystalline silica dust. Among the citations, investigators found that a temporary worker was allowed to remove concrete without being trained on silica hazards. This OSHA standard was created to reduce the dangers of working with equipment that could suddenly restart when performing maintenance or repairs. Violations of these standards come from inadequate or improper "lockouts" which are devices that prevent a machine from turning on, or improper "tagouts" which identify the person who installed the lockout device and is the only person who can remove the lock. This standard is important because many fatal workplace injuries have occurred from machines accidentally being turned on during repairs. An Alabama steel company was recently fined more than $320,000 for lockout/tagout violations. Investigators found that employees were allowed to work with lock out equipment without being trained on how to perform a lockout/tagout on the equipment. To view the entire list of violations, check out the ful presentation. To learn more about OSHA safety training, visit Zack Academy.